Atlas Belting is committed to providing the highest quality used and surplus conveyor belting while being environmentally responsible. 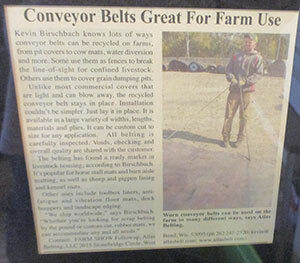 Every used belt we purchase saves it from a landfill. When you purchase rubber mats from us you too are saving the environment and money. 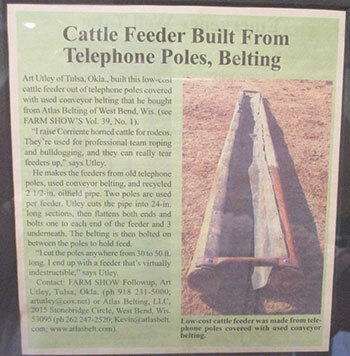 Atlas Belting is currently headquartered in Muskego, WI and proudly ships world-wide. 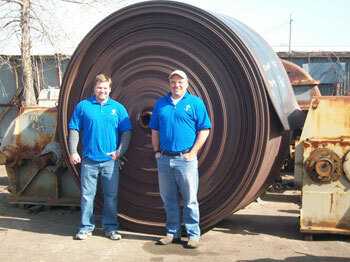 Whether you're looking for scrap belting by the pound or custom cut rubber mats, we can accommodate any and all needs. Atlas Belting began as an idea that grew into a reality through the minds of Kevin Birschbach and Eric Spacek, the President of Atlas Gaskets, Inc., a Quality Engineered Gaskets & Die Cutting Company that has been in business since 1993. This partnership between the recycled belting industry and gaskets & die cutting manufacturing, the possibilities of die-cutting and customizing our recycled belting to your needs is endless! Pictured are just a few examples of the types of products that we make using the belting. For more information on die-cut belting see our die-cutting sub point under Industrial Uses.